Question – One of our incumbent Board Members was recently discovered to be the beneficiary of a trust that holds title to her home. The title was transferred by Grant Deed to the named Trustee many years ago. The Board Member asserts that she is an owner and thus eligible to serve as a Board Member. Is she correct? Maybe. Associations are permitted to set reasonable requirements/qualifications in their Bylaws or CC&Rs for members to serve on the Board. Laguna Royale v. Darger (1981). These requirements typically include that any member wishing to serve on the Board have an ownership interest in a property located within the Association. 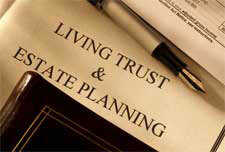 We typically treat the trustees as the owners of the property due to their ability to control title. However, general principles of trust law in California view trust beneficiaries as holding “the equitable estate or beneficial interest in” property held in a trust and are “regarded as the real owner[s] of [that] property.” Steinhart v. County of Los Angeles (2010). The answer will ultimately depend on a number of factors including the nature of the restrictions/qualifications contained in your Association’s Governing Documents and the type of trust involved. We recommend discussing the issue with your Association’s legal counsel.